Experience Assessment and Design in the Analysis of Gameplay is available in Simulation and Gaming (online first version). We report research on player modeling using psychophysiology and machine learning, conducted through interdisciplinary collaboration between researchers of computer science, psychology, and game design at Aalto University, Helsinki. 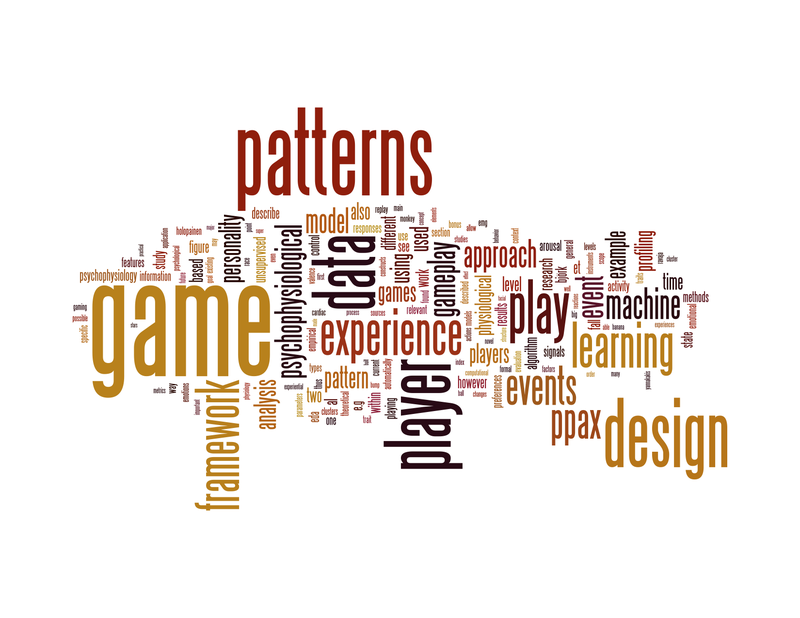 First, we propose the Play Patterns And eXperience (PPAX) framework to connect three levels of game experience that previously had remained largely unconnected: game design patterns, the interplay of game context with player personality or tendencies, and state-of-the-art measures of experience (both subjective and non-subjective). Second, we describe our methodology for using machine learning to categorize game events to reveal corresponding patterns, culminating in an example experiment. We discuss the relation between automatically detected event clusters and game design patterns, and provide indications on how to incorporate personality profiles of players in the analysis. This novel interdisciplinary collaboration combines basic psychophysiology research with game design patterns and machine learning, and generates new knowledge about the interplay between game experience and design. Keywords: game design, gameplay patterns, psychophysiology, personality profiles, PPAX framework. The word cloud of the article’s frequently used words.